Disney's Ralph Breaks the Internet has again topped North American box offices, taking in an estimated $16.1 million for the weekend to narrowly edge out another family-oriented animation, Universal's The Grinch, industry tracker Exhibitor Relations said on Sunday. On a last quiet weekend before the coming crush of holiday films, the order of the top five films on this three-day weekend was, remarkably, exactly the same as last weekend. Ralph, a family-friendly sequel to 2012's Wreck It Ralph with the title character voiced by John C. Reilly, came in just ahead of Grinch, which sold $15.7 million in tickets. Benedict Cumberbatch voices the grouchy Seuss-inspired title character in that film. In third spot again was MGM's boxing drama Creed II at $10.3 million. This latest in the long-running Rocky series stars Michael B. Jordan as Adonis Creed as he - coached by the aging Rocky Balboa (Sylvester Stallone) - takes on the son of the boxer who killed his father. Fourth place went to Fantastic Beasts: The Crimes of Grindelwald from Warner Bros, with a take of $6.8 million. The Harry Potter prequel stars Eddie Redmayne, Jude Law and Johnny Depp. And in fifth was Fox's Bohemian Rhapsody, at $6 million. Rami Malek has drawn rave reviews for his portrayal of rock group Queen's talented singer Freddie Mercury. 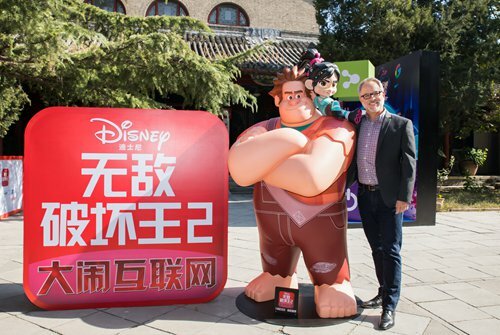 The coming weeks will see the release of some expected blockbusters, including Spider-Man: Into the Spider-Verse, The Mule, Mary Poppins Returns and Aquaman, which scored a huge $93.6 million over the weekend in China.